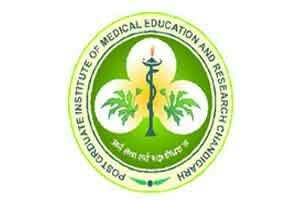 The Postgraduate Institute of Medical Education and Research (PGIMER) in Chandigarh is likely to appoint a new director at the institute, after the Union Health Ministry has asked it to do so. This also puts an end to the speculation and the rumors that the current director Prof Y K Chawla will be getting any extension of tenure at the institute. He is due to retire in October this year, and it has been now cleared by the ministry that PGIMER should begin the process of appointment of a new director. Dr Chawla was appointed in October 2013, after his proven ability and qualification potential to beat 23 other candidates vying for the post. The selected procedure at that time involved the shortlisted candidates to present a document envisaging a better growth model for the institute; to be discussed with the selection committee at that time. There were different criteria for final selection of the candidate, based on his academic record, clinical performance, and also, on his/her leadership qualities. A senior ministry official told Chandigarh Newsline that the direction was given to the PGI administration recently. The official further said that the communication had been sent early because the entire selection process “will take months”. “PGI is one of the country’s top institutes, and we need to find a suitable person for the post,” he said. When asked if the extension of the present director was on the cards, the official denied the same. “There is no report that the present director wants an extension,” he said. PGI spokeswoman Manju Wadwalkar, however, said that she was not aware of the communication received by the institute from the ministry.